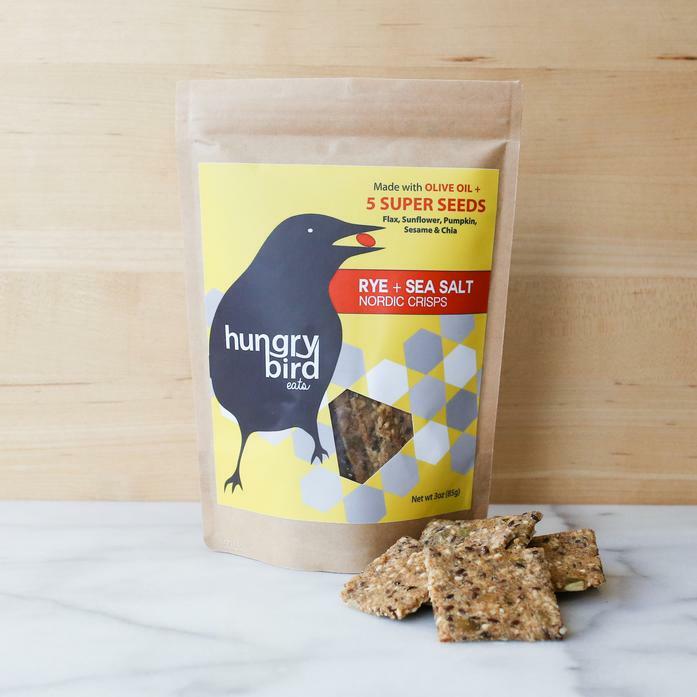 Created from a traditional recipe for Danish crispbread, these baked rye crisps are a healthy, real-food alternative for kids and the adults that chase them around. These crisps come bite-sized and are packaged in a re-sealable to-go sized pouch to be a perfect fit for anyone who is active or just plain hungry. Nordic Crisps are rolled and cut by hand, giving each crisp its own unique variation in size, thickness, and taste. Each batch is different. Organic, nut and soy free, vegan, non-GMO, and no added sugars or preservatives.